26,000+ dealers worldwide trust ARI to help them Sell More Stuff!™ online and in-store. Put ARI to work for your dealership. Simplify the replacement parts lookup process. Don’t let your parts counter get cluttered with paper catalogs, or search on different OEM websites when looking for the parts you need. PartSmart offers access to more than 90 leading manufacturer catalogs - just one reason why more than 20,000 users worldwide trust PartSmart. 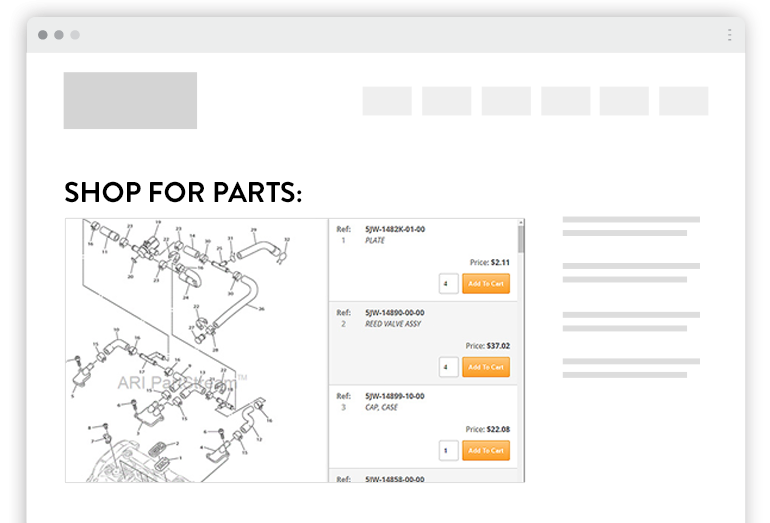 Optimize your online parts business with PartStream: ARI’s award-winning parts lookup tool. 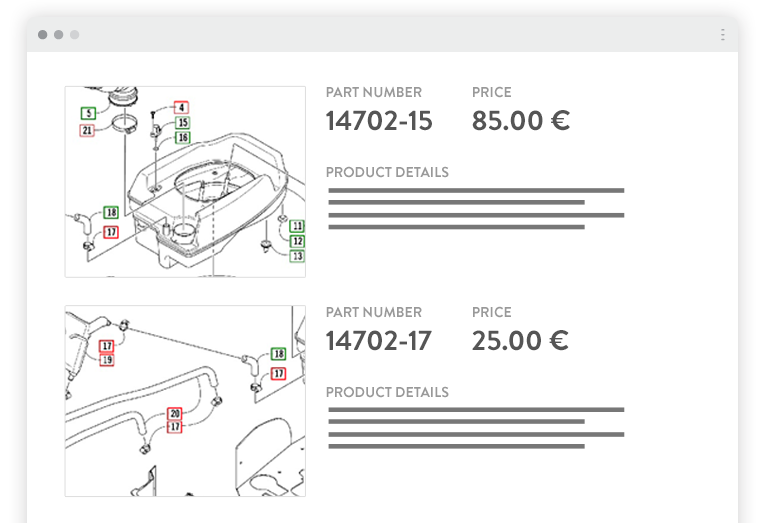 PartStream is the perfect solution for high-performing dealers looking to add mobile-friendly, illustrated parts lookup to a custom website with an integrated third-party shopping cart. Do you want access to ARI's unrivaled eCatalog library featuring content from more than 125 manufacturers, 10 million part numbers and product SKUs? Let our data authoring team work with your manufacturers and standardize the data. We want to give your customers an engaging online parts shopping experience. 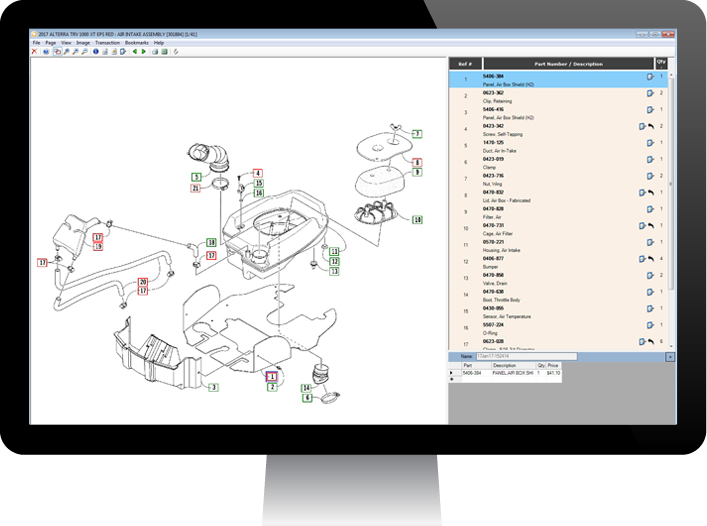 Save your team time and make authoring electronic parts data as convenient and efficient as possible with Data Manager RT. 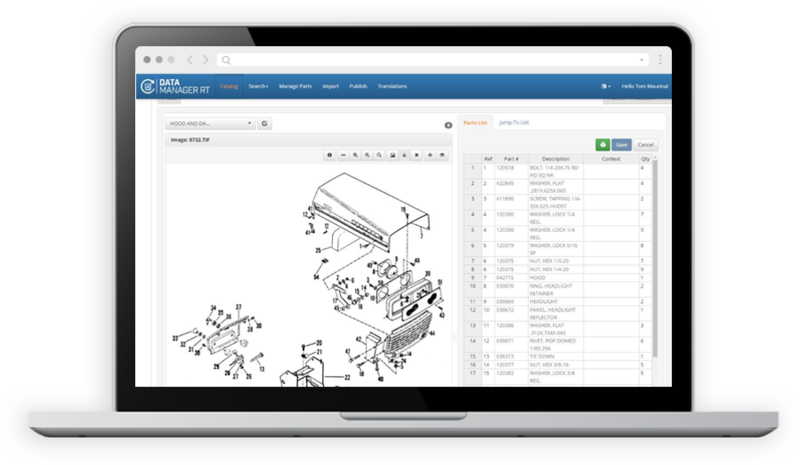 As the next-generation of ARI’s Data Manager offering, this browser-based data authoring tool enables you to easily self-publish parts data multiple times per day, eliminating the time-consuming process of transferring parts data via FTP. 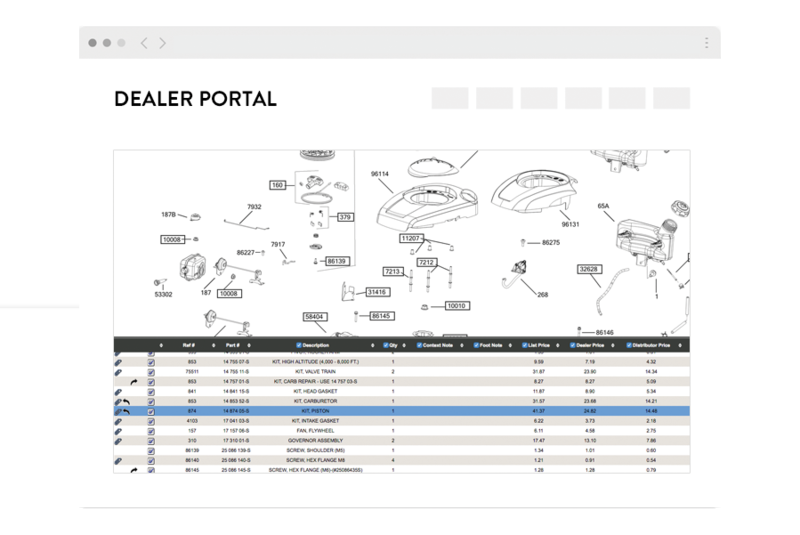 ARI's PartSmart Web gives your dealers exclusive access to your electronic catalog content via a custom replacement parts lookup portal. Make it simple for dealers to find the right part the first time with the ability to fine-tune their search criteria. Give them access to rich data including pricing, supercessions and parts kit information. In addition, they can search the electronic catalog to easily locate where parts are used and accurately determine how many to order. Turn your dealership into a streamlined profit machine! 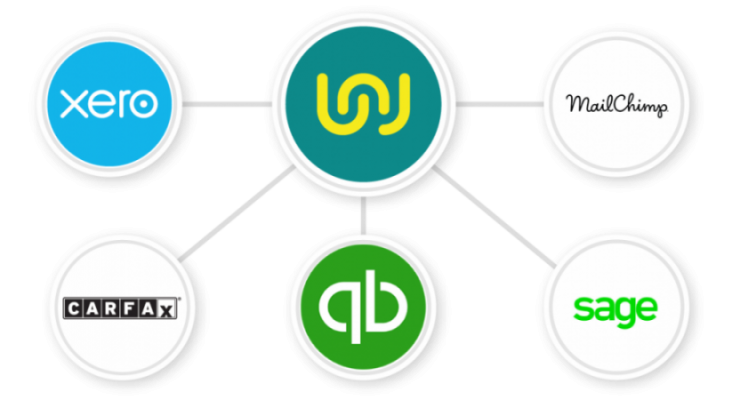 Workshop Software is the business management solution for dealers who want to streamline job management, customer invoicing, customer retention, and much more. I would definitely recommend ARI to other dealerships. There is the directory management, PartSmart – so many tools that our business utilizes that are irreplaceable, and it’s all done conveniently with one company. It makes doing business so much easier.